Apartment's location is the most desirable for tourists one can imagine.The most fashionable and luxurious Kyiv hotels are situated nearby. For instance Intercontinental hotel stands right the next building. This place is the best part of old city district, the very origin of Kyiv bordered by Sofiivska church, Mykhailivska church and Andriivskyi descent. Volodymyrska Hirka - the famous park and favorite promenade place lays just in 200-300 meters. Andriivskyi descent comes alive with souvenir stalls, artists, exhibitions, musicians and street performers - it is so called cultural heart of Kyiv. 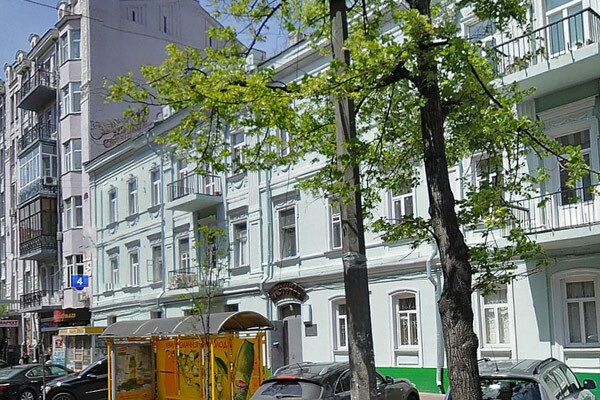 Charming newly refurbished flat in a characteristic Kyiv building of nineteenth century. Second floor, 75 sq.meters, tall ceilings 3.5 meters height. The first storey of this building is occupied by small public city library. 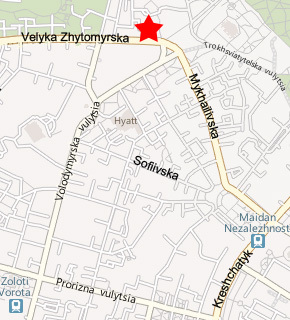 Closest building nearby - Intercontinental hotel. 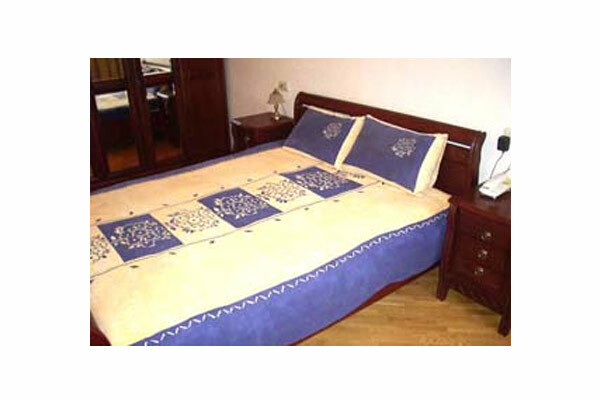 Two equal separated bedrooms with comfy king-size double beds with orthopedic mattresses, wardrobes and commodes. 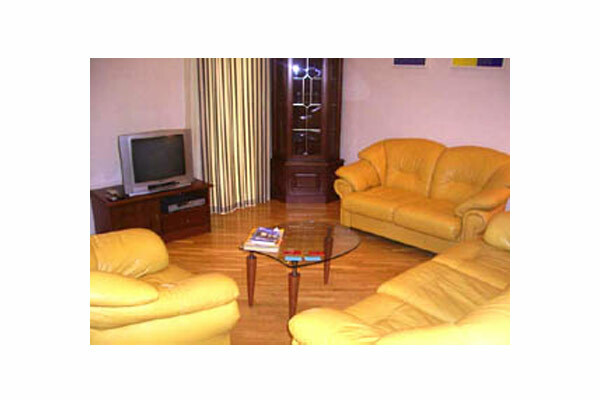 Roomy living-room with two leather sofas, ample kitchen and dining area with all cooking amenities. 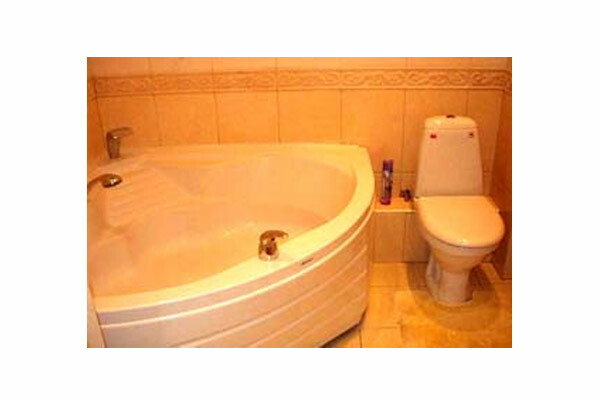 Stylish bathroom with installed washing machine and triangular bathtub-jacuzzi. Big light windows with stylish curtains compliment the apartment's interior. It is very quiet inside of apartment despite the busy streets and quarters around. 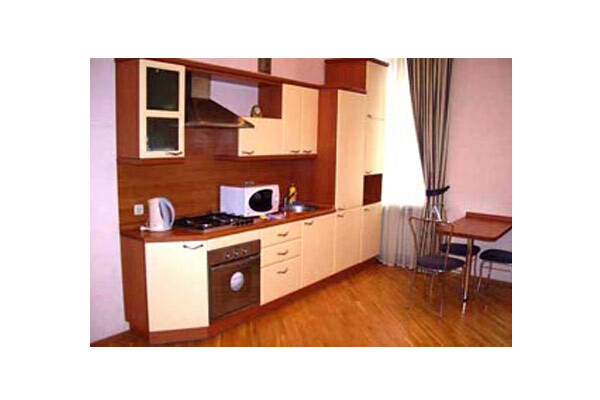 Apartment on Velyka Zhytomyrska street is perfect base for exploring Kiev, suits both for daily or long-term rental purposes. Free unlimited broadband internet with Wi-Fi access point.